Brief History and Background of the beginning of Evangelical Lutheran Church Of Papua New Guinea. Maria Vetter, Rev. Adam Hoh and Else Hoh, Rev. Johann Decker and Emilie, Rev. Andreas Zwangzer and Margarete Zwangzer. 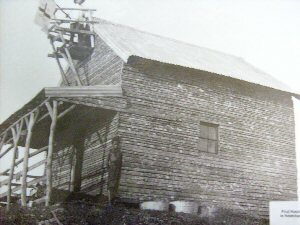 The first mission station was established in Simbang, October 8, 1886. 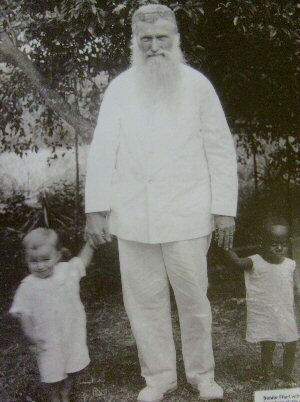 The first group of missionaries that were there at that time was; Rev. Johann Flierl (Senior), Rev. Karl Tremel, Rev. Georg Bamler, Rev. Georg Pfalzer, and Rev. Konrad Vetter. The second mission station was established on Tami Island, November 1889. The missionaries that were assigned to establish it were; Rev. Karl Tremel and Rev. Georg Bamler. The third mission station was established at Sattelberg with careful planning and proper preparations. Toward the end of 1892, the missionaries and their families moved into the newly established mission station. Rev. Flierl (Senior) and family, Rev. Andreas Ruppert, Rev. Johann Decker, Rev. Andreas Zwangzer, Rev. Friedrich Held, Ms. Frieda Goez, (nursing sister), and Rev. Ernst Hansche. In 1899 the fourth mission station was established at Deinzerhill through the initiative of Rev. Georg Bamler, at Tamigidu in the Bukawa area. And on the opposite side of the Huon Gulf, missionaries Karl Mailaender and Hermann Boettger established Malaclo mission station in 1907. Actually in 1907, two new mission stations were established. One at Malaclo and Sialum respectively. After thirteen (13) long harsh years of tough missionary work in the northern coast of Morobe Province of what is now known as the Finschhafen district, in 1899 the first Baptism took place in Simbang. Two local mission workers, Kaboing was baptized with the name Tobias, and Kamunsanga was baptized with the name Silas. These gentlemen became the first fruits of what will determine the destiny of a Christian church in this nation, Papua New Guinea. Rev. Georg Pfalzer administered their Baptism at Simbang mission station. And in the next five years 36 more people from Tami Island and from the nearby coastal villages of Simbang were added to their number. Johan Frierl was born on April 16 1858 in the village of Bachhof in the area of Sulzbach of Germany. When he was thirteen years old his father requested to enroll him to a Seminary at Neuendettelsau where he could prepare for Foreign Service as a pastor in other countries. The request was not accepted because he was too young. He had to wait another four years before he could be accepted. 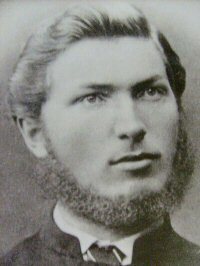 At the end of 1875 when he turned 17 he was enrolled at the Neuendettelsau Seminary. Towards the end of his studies he heard a call for a missionary in Australia to work between the Aborigines people. In his heart he said, "Here am I, send me." So he went to the missionary inspector and volunteered and he was accepted. On the Easter of 1878 he was commissioned and sent as a missionary to work among the aborigines people of Australia. When serving between the Aborigines he faced many difficulties, mainly because they are nomads and they can not conform to a bible school or any established institution. Every time they move around and many times he can not coup up with them. When he was in Australia he married a pastor's daughter who was a German descent. While he was still in Australia the German occupied the North East New Guinea so the Church taught of sending a pastor to work among the Germans on the Island. After seven years of service, in November 10 1885, J. Frierl left Tanumda congregation (the congregation he pastored in Northern Australia) and went to Cook town to make arrange with the German New Guinea company so he can go to New Guinea. His spouse stayed with her parents back in Northern Australia. The German New Guinea company was a bit reluctant to take missionaries because they were so concerned about making profit for the company that they thought the missionary will not be of any help. Their general opinion at that time was that the natives would become lazy under missions influence; they will not work on Sunday, the company can not use force to recruit them, they think using guns to discipline them is better than missionaries working among them. The matter was brought to the German government who acted upon and instructed the German New Guinea company to take him for free to Finschaffen. Finally on July 18, 1886 Frierl left Cooktown and traveled for free on a company ship. He arrived and worked as a pastor among the German workers' families. He was still not satisfied with his work among the Germans and made a beak through by leaving the German New Guinea Company established station and went to live and work among the natives. On July 12 1886 he sailed to Simbang were he established a mission field among the natives. Later his wife and other missionaries joined him. He was 28 years old at that time. Moreover, in the northern part of Papua New Guinea as it was known as German New Guinea (Kaiser-Wilhelmsland), the establishment of this colony prompted both Neuendettelsau Mission and Rhenish Mission in Barmen, Germany to extend their mission work into that territory. Both institutions had differing positions in their mission work at that time and it did had an effect on the influence of their mission work. Rhenish Mission had mission fields in China, Africa, and the Bataks in Sumatra, Indonesia. Rhenish Mission established the first mission station at Astrolabe Bay on Bogadjim beach in 1887. They had missionaries like Wilhelm Thomas and Friedrich Eich. Wilhelm Thomas was the first Rhenish missionary to set foot on New Guinea. He arrived on February 17, 1887. And Friedrich Eich arrived in New Guinea on April 16, 1887. Both missionaries arrived in Finschhafen before setting sail for Madang. Rev. Wilhelm Thomas arrived on March 16, 1887 at Konstantinhafen, formerly known as Port Constantine, Astrolobe Bay, and Bogadjim beach, Madang. This area is a part of the Rai Coast district of Madang. Sixteen years before the arrival of the first Lutheran Missionaries of the Rhenish Mission, it was explored by a Russian a brilliant scientist, by the name of Nicholai Mikloucho-Maclay. He named this beautiful bay and harbour where he landed, Port Constantine, after a Russian prince. Then he went further inland up into the Finisterre Range. From there the early missionaries attributed their initial entry into that area and establishing good relationship with the people there to the excellent impression which the first white visitor, Maclay had established. Coming back to where it all started, Finschhafen, 1889 and 1890, saw swift expansions of the establishment of mission stations in this part of New Guinea. The setting up of the Tami island mission station in 1889 by Tremel and Bamler, because Tami island was seen as a very important strategic viewpoint which the missionaries could use to make their movements to the Huon Gulf area, the Siassi islands, and the east point of New Britain island. Intense expansion mission work moved northward also towards the mountain tribes in Finschhafen. Two new mission stations were established, Sattelberg and Wareo in the Kate language area. Toward the end of 1892 Senior Flierl established Sattelberg mission station and moved there with his family to settle. In 1902, missionary Konrad Vetter built Obasega (also known as Jabem) mission station near Ngasegalatu village in the Jabem language area. At the turn of that century there was the New Guinea Company a company of the Germany Empire in their new colony. Finschhafen was one of the three locations on the mainland claims under the German Empire in 1884 including four other islands sites that Germany claimed as its colony, the northern part of East New Guinea where it was called Kaiser-Wilhelmsland. In 1903, missionaries Georg Pfalzer and Johann Ruppert established another mission station at Pola. And in 1906, the mission station was relocated to Masangko to work among the inland mountain tribes of the Kate area, that move was made by missionary Ernst Schnabel. Also in 1903, north of Sattelberg in Wareo, missionary Andreas Zwanzger established Wareo on the Wamora Mountain Ridge. This mission station was a starting point for the evangelization movement to the mountain tribes north of Finschhafen. The instant growth and their importance; Sattelberg and Wareo proved to be necessary to establish a coastal base mission station that was nearer than Finschhafen. 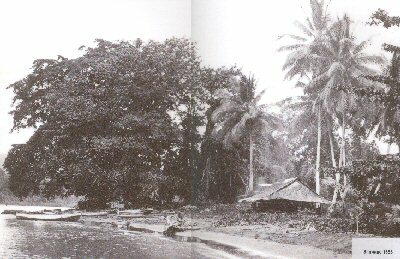 In 1904, Heldsbach Mission station was established when senior Flierl moved there to the coast near Busum Bay in which the colonial administration had given the Mission a large piece of land for a coconut plantation. Heldsbach was named in memory of Missionary Friedrich Held who died three years ago. The newly established mission station later became a very important school station and a plantation site. That same year (1904) Flierl handed over Sattelberg station to Christian Keysser. Heldsbach was relatively a small station compared to Sattelberg and Wareo at that time. After 13 long harsh years of tireless effort of the early missionaries, the first Baptism of the first indigenous Lutheran Christians took place in 1899. They were two station workers in Simbang; Kaboing baptized with the name Tobias from Ngasegalatu village and Kamunsanga baptized with the name Silas from Gingala village both in the Jabem language area on the coast of Finschhafen. Their baptism and dedication took place at Simbang station and was officiated by Rev. Georg Pfalzer. There were other baptisms that were conducted over the next five years after the first baptism in 1899. There were 36 more people from Tami Island and from the coastal villages near Simbang were added. These people who were baptized were members of the household of the missionaries and were evidently the result of their hard labor. Yet there were still so much to do in order to get all the people from the different tribes because they (missionaries) had to really get into the realms of the people's traditional religion that has a strong binding power on the people. So in that manner, the people were just mere spectators or do not really and fully understand the meaning and reason of becoming a Christian at that time. It was a slow process and most of all a difficult task for the early missionaries to carry out at that time and era. In what could be described as a great breakthrough in the work of the early missionaries, the first large baptism ceremony took place in 1906 at the newly established Obasega mission station in Finschhafen. That was when the Miti (the Word of God like fire, the Gospel of Christ) was openly presented to the public. There were so many people that were present at that time, but the majority of those that congregated were not sure or did not consider themselves as future candidates for baptismal class. On the other hand, it was seen as a change gradually taking place in the village level leaving the confines of the mission stations. In a steadier pace over a long period of time, the Miti was the message of Peace that was spreading from village to village in which it was like a prepared pathway for the missionaries for their arrival. One such occasion that was evident was; when missionary Lehner was assigned to establish Cape Arkona in Bukawa, surprisingly he was received as a long awaited friend. Another breakthrough in the developments of mission work in the inland areas of Finschhafen came about through Sattelberg mission station. Flierl had started a boarding school, and from that school, in 1904 saw two first fruits of the Kate congregation, namely Ajang and Kupa, both men came forward and presented themselves to be baptized. Christian Keysser initiated this decisive breakthrough. Moreover, on May 7, 1905 the first large baptism took place at Sattelberg. It was regarded as an affair concerning all the surrounding villages in that area. In fact only ten (10) people actually were baptized. On the other hand, this event opened the way for the Miti to move into the Kate people.